Aside from hockey, Edmonton is best known for its festivals. Nicknamed the capital of festivals, Edmonton has been the root of some of Canada’s major festivals including the Fringe Festival. 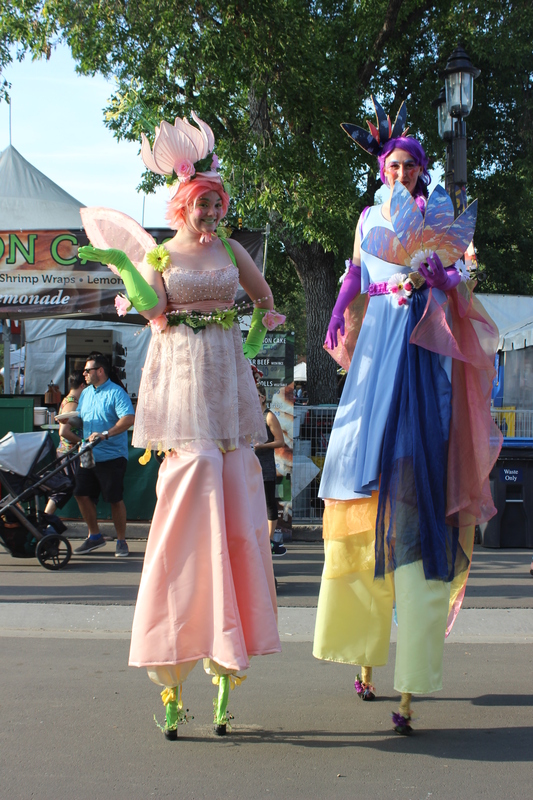 Since 1982, Edmonton’s Fringe Festival has provided locals with the largest festival for performance arts in Canada – it is the largest and oldest Fringe Festival in the country. This year, A Midsummer Night’s Fringe, hosts over 200 unique shows throughout over 40 venues in the city. For the outside portion of the Fringe Festival, there are 3 outdoor stages, 4 patios, and over 60 vendors including food vendors. A Kids Fringe area encourages children to participate in daily performances, story time area, craft corner, face painting, and theatre created by and made for young audiences. In fact, there is so much to do at Fringe, they shut down part of the Whyte Ave area just to host it. This year I had the opportunity to check out the Edmonton Fringe Festival thanks to Explore Edmonton and the Fringe Festival organizers. I must admit that this festival is the king of all Fringes in Canada – I was overwhelmed by all the choices of performances – musicals, comedies, improv, one-man shows, magic, and more! 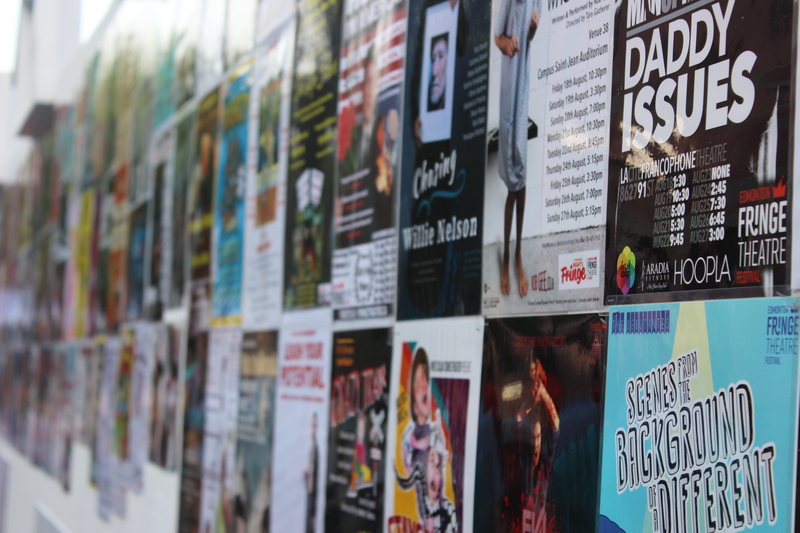 Rows and rows of posters were lined up on the streets of Whyte Ave, promoting the various shows. We decided to check out the outdoor performances first – with just people watching being just as entertaining! 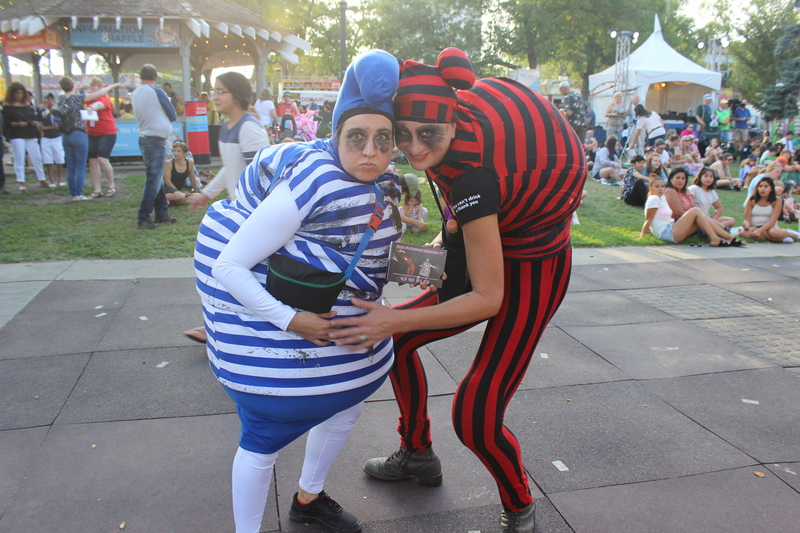 The streets were filled with stilt walkers, performers promoting their shows in costumes, and street buskers. Since hubby and I enjoyed musicals, we decided to filter our choice of shows based on musical performances, which lead to our first pick which was Prom Night of the Living Dead. Billed as a “zombie high school musical” combining a John Hughes inspired movie (The Breakfast Club) and zombies, it was a clear winner as a must see. This performance is hosted at the Varscona Hotel on Whyte Ave. The second performance we decided to watch was Rivercity The Musical. 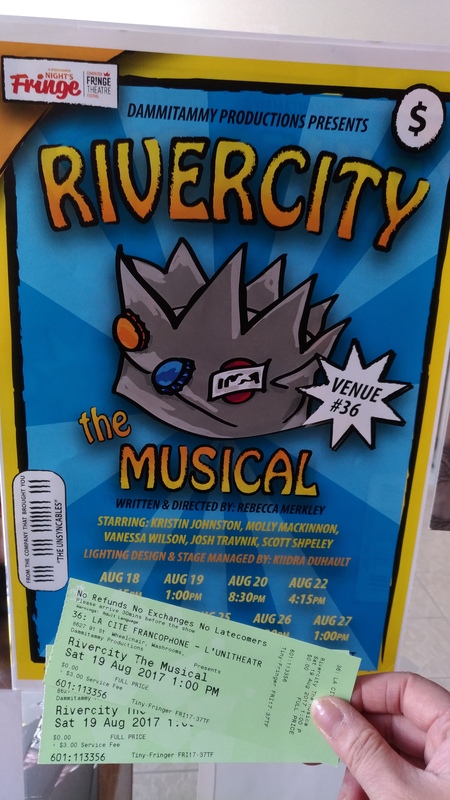 This second musical is a musical-spoof loosely based on the Archie comics and was playing at La Cite Francophone L’unitheatre in the Boonie Doon district shortly outside of the Whyte Ave area. Both musicals were highly entertaining, comedic, and parodied modern day topics – Prom Night of the Living Dead used pop songs we’ve all heard and changed them to fit the storyline, while Rivercity’s Archie comic exaggerations kept us laughing throughout the show. There’s so many shows we ended up wanting to see but with limited time in the city we couldn’t fit all of them in. If you’re planning a trip to Edmonton this summer or next summer, make sure you come during the Fringe Festival – there’s something for everyone. I highly recommend dedicating a week just to check out various Fringe shows and the outdoor performances. On top of that, tickets are reasonably priced for each performance, with a discount half price ticket booth that daily updates their half price shows. This year’s Fringe Festival is on now until August 27, 2017 – make sure to catch a show today and support your Canadian artists. What are you waiting for? Get Fringing and try out something new. For more information, visit: www.fringetheatre.ca. Kate Spade New York opens at Metropolis at Metrotown!